• Each challenge video features easy photo tips and the story one L.A. teen told with their camera. • Lessons built by photo educators from the Getty Museum in L.A.
• Get more confident with your camera and expressive with your photos. Getty Unshuttered. Your images. Your voice. Reframe your story. 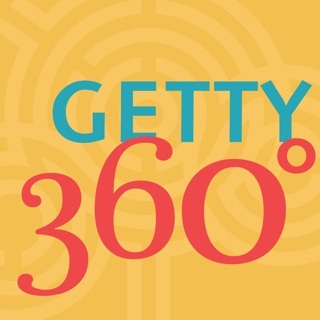 Getty Unshuttered, inspired by Genesis and its commitment to education through the arts, is produced by the J. Paul Getty Museum, and is an official app of the J. Paul Getty Trust in Los Angeles. Note: Sign up requires an email address or Facebook account. Thanks for using Getty Unshuttered. To share your feedback, contact us in the app or at unshuttered.org/support. The idea of challenges is a good one. Problem is, why recreate Instagram. This should use a users existing IG photos submitted to this from that feed. In addition, you must create an account before finding out more information about this. There should be a more information given before having to sign up. The only upside is the ability to easily deactivate an account, which I did after 20 minutes after checking this out. We love Instagram too. If its your jam connect with us @gettyunshuttered or #unshuttered. You'll find our photo tips right in our feed. I love the idea behind the purpose for this app but it keeps crashing every time I try to upload a photo or scroll through portfolios to look at other pictures. Thank you for your feedback and for being part of our community. We've been working hard to squash as many bugs in Getty Unshuttered as we can. We hope you will consider downloading the most current version and trying our app again. Feel free to contact us for any additional assistance at unshuttered@getty.edu. I deleted this within a few minutes of downloading, there’s no quality control and I was bombarded with d*** pics as soon as I opened up a category.